You take great pride in your home’s appearance. You’ve created a beautiful garden, your home has excellent curb appeal, and you love all the details present in your home’s exterior. One thing that can make a serious difference in the overall look of your home — for better or for worse? Read on to make sure you choose the right roofing colors not just for your home, but for your design aesthetic. Then, we’ll tell you where you can go to find the right roofing contractor that will help you to repair, replace, or upgrade your roof. 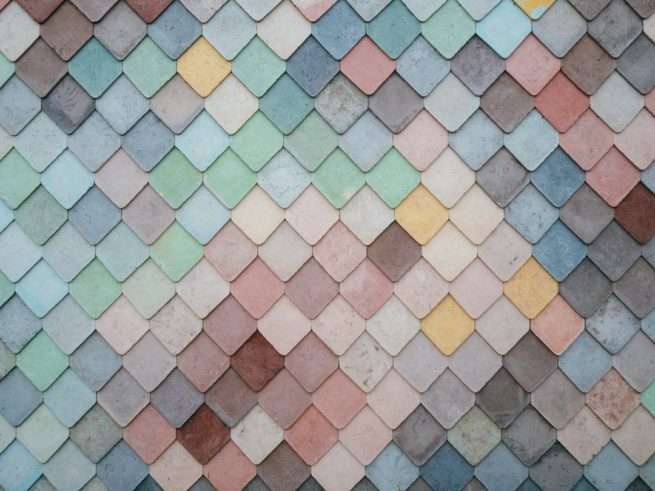 Before you start combing through hundreds of shingle color samples, decide what sort of statement you’re going for with your roof. Are you looking for something that’s a bit bold? Would you much rather stick to tradition? Would you like only one color on your roof? Or, do you feel like giving a color combination a shot? Are you interested in shingles with any other properties, like the ability to help keep your home cool? If so, are you prepared to deal with limited color options? These are all the kinds of things you need to decide on first. One of the most important things to consider when you’re choosing shingle colors? Your home’s overall architectural style. 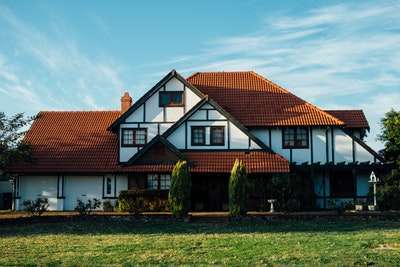 For example, putting red clay shingles on the roof of your Tudor-style home might not be the best fit. However, that color and style of shingle would be a wonderful fit for a Spanish-style home. Get some inspiration from your favorite design magazines, and understand what looks best with your home’s style. While you don’t have to follow all the rules blindly, you want your home to look cohesive. When you’re looking for the right shingles for your home, you should also think about how certain roofing materials and shingle colors will impact your home’s temperature. If you’re looking to lower your energy bills, then we suggest that you go with lighter hues. This is because lighter colors work to reflect the heat off of your home. On the other hand, darker shades will actually absorb the heat, meaning that your home will need to use more energy to keep cool. You should also talk to a roofing professional about how to select energy efficient roofing materials if this is a priority for you. Your roof colors can also impact the way people perceive the size of your home. If you’d like your home to look a bit taller than it actually is, then opt for a shade that closely matches the color of your home’s exterior. Contrasting colors can sometimes make your house look like it’s been broken up into different sections, shortening it. If your house is painted in a more natural color, then classics like brown and light red will make it appear larger. Of course, the best roofing shingles are those that match well with your home’s exterior. However, you also need to coordinate the shade of your shingles with the other architectural details on your home. Do you have a brick or stucco accent wall on one side of your home? What about your shutter shades? Have a bold trim on your home that might require a subtler shingle color? What about your chimney? Always take the time to consider the details. You don’t want to end up with shingles that match one part of your house but completely clash with another. Take a look at this handy guide on understanding the basics of color theory to help you make the right choice. Especially if you’re a part of any kind of a homeowner’s association, you want to ensure that your shingle colors are in line with any rules and regulations. But even if you’re not? It’s still good to consider your neighbors. When you’re choosing your colors, remember that there’s a difference between making a statement and wildly clashing with the house across the street. Ensure that your shade compliments, not just your own home, but also those of your neighbors. Plus, being considerate helps to eliminate potential tension. When you’re picking out roof shingle colors, don’t forget that the sun has a big impact on how the shade will appear. Even your region’s climate can impact the way the color will come across. When you’re choosing, we suggest that you take a look at color samples at different times throughout the day. Remember that the shades may look a bit brighter and more vibrant in the summer months. In the winter or on a cloudy day, they may appear a bit faded. If you can, test out how the color changes in different weather conditions. You want to ensure you’re satisfied with your roofing shingles 365 days a year. We hope that this post has helped you to learn the most important things to consider when selecting your shingle colors. Of course, to ensure that your roof looks its best, you can’t compromise on quality materials — and professional installation. From offering advice about the colors and materials of your shingles to installing a brand new roof on your home, we can take care of everything you need. Get in touch with us today to get started on making your dream roof a reality. Many people spend a lot of time worrying about roof condition in the fall. It’s a practical attitude, especially if your roof contains a lot of nooks where debris accumulates. The last thing you want is a roofing disaster in January. That’s a time of year when repairs prove difficult and dangerous, even for experienced pros. With all of that focus on winter prep, it’s an easy thing to overlook the punishment your roof takes all winter. A lot can happen to your roof courtesy of howling winds or hundreds of pounds of snow building up. So, here’s a few key spring roof maintenance tasks you should do every year. Venturing onto a roof is a dangerous activity. It’s easy for someone to fall even on a roof with a comparatively gentle slope. You should take some basic precautions. Use a sturdy ladder that has non-slip rubber feet on it. That helps the ladder stay in place while you climb. Also, wear work gloves and basic eye protection. Wind can blow loose debris into your eyes. Sliding across asphalt shingles can rip up your hands. If possible, use a safety harness or safety line to keep you from crashing into the ground. Give your roof a thorough once-over. Keep an eye out for damaged or dislodged shingles. Watch for loose or rusty nails. Check over the flashing around the entire building. Note any rusty or missing flashing, since that will also need attention. Keep an eye out for visible mold, rot, or moss. Check your soffits and eaves for any signs of damage or decay. Take the time to clean out your gutters. Even if you cleaned them thoroughly in the fall, winter winds can fill them with late falling leaves, dirt, or pine needles. Odds are good that you’ll see some accumulation. Use a hose to run water through the gutters. This can expose any leaks and will ensure that you don’t have anything stuck in the downspout. Note any leaks or damage to the gutters. Removing loose debris from the room is the one the riskier portions of the project. Ask someone else to be there, if only to make sure you don’t fall. Drop any fallen branches or limbs off the side of the roof, but avoid crushing any flower beds or herb gardens below. A broom can help you clean off any small debris in nooks and crannies. Don’t sweep too hard or you’ll knock too many granules loose from the shingles. While you remove debris from the roof, pay attention. Do any parts of the roof give a lot under your weight? Does any part of it feel spongy as you walk across it? Those can serve as telltale signs that the wood beneath the shingle suffered some kind of damage. It could mean a large limb hit in that spot and cracked the wood beneath. It can also mean that water or ice damaged the integrity of the wood. Keep a mental inventory of those spots or mark them on a sheet of paper for later reference. If your roof suffered from ice dams, you’ll find the best evidence in your attic. Take a quick trip up to your attic and examine the underside of the roof wood. Use the mental inventory or paper to check the spots where you felt give or sponginess on the roof. If there were ice dams, leaks, or impact damage on the roof, you should see evidence there. Cracked plywood can indicate an impact. Discoloration in one location indicated a localized leak. Streaks running down can indicate several leaks or water infiltration from an ice dam. Don’t overlook your chimney, if you use a fireplace. They often look quite sturdy, but brick and mortar can deteriorate over time. Look for cracked bricks or blocks. Also, keep an eye out for cracks in the mortar or crumbling mortar. While they may not look serious right now, they can turn serious next year. Spring or summer is the ideal time for a chimney repair. The warm weather lets the mortar dry properly without any special extra activities by the mason. That keeps the price down. If you’re comfortable with the work, you can conduct a number of basic repairs on your roof. Most experienced DIYers can replace some damaged or missing shingles. With some care, you can also handle most flashing replacements. Gutter repairs can prove aggravating, but not impossible. Damaged soffit and eaves repair is another matter. Fixing them depends on the damage location and equipment you have on hand. For example, damage near the peak can prove inaccessible without a very long or professional grade ladder. Damage to the roof and chimney don’t generally lend themselves to DIY solutions. Even if you conduct a very thorough inspection, it doesn’t mean you’ll catch everything. Calling in a professional for an inspection can reveal telltale problems you wouldn’t notice. You should absolutely call for a pro consultation if you find signs of serious leaks or impact damage of the roof wood. A professional can tell you whether you need a new roof for the structural integrity of your home. 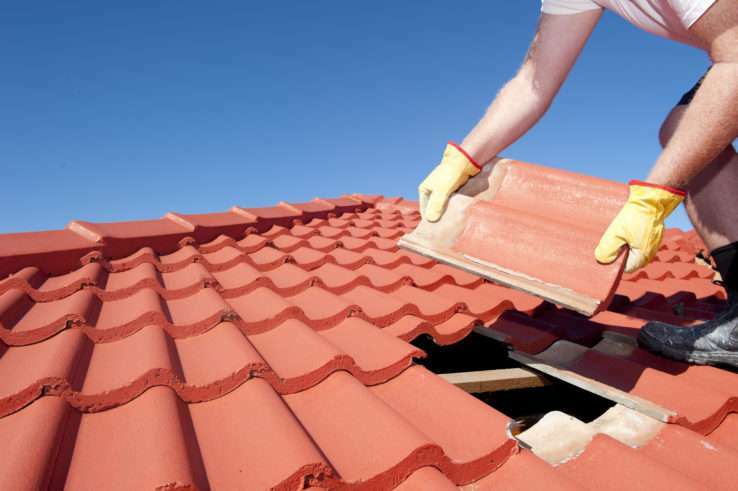 You may discover that all you need is a small repair or partial roof replacement. Masonry repairs should also require a professional eye. Harsh winter weather can take a toll on your roof. That means that you should conduct basic spring roof maintenance every year. Once you deal with the safety issues, give the roof a solid inspection. Note any shingle problems and spongy spots on the roof. Check over the gutters, soffits, eaves, and chimney for damage. When in doubt, hire a pro roof inspector to give your roof a once over. Check in your attic to confirm any suspected water or impact damage. Conduct the minor repairs you feel confident about. Leave the complex repairs, like masonry and full-on roof replacement, to the professionals. M&J Roofing and Exteriors specialize in roofing, windows, siding, and gutters for central Indiana. For more information about our services or to schedule a consultation, contact us today. A new roof should last you 20 years or more before replacement. If you don’t keep an eye on your roof and maintain it, then you might be shingling a roof sooner than you think. Roof problems start out small, but grow until roof replacement is your only option. Don’t let a new roof to fall into disrepair. Vigilance and proper maintenance keep your roof in tiptop shape. Many people don’t realize what is necessary. We’ve collected the most common mistakes people make in roof maintenance. If you use this guide, then you’ll have a healthy roof for many years. Trouble with your roof starts at the beginning if roofers aren’t putting it on correctly in the first place. It’s tempting to hire the cheapest roofers or do it yourself because you’re saving money. The downside is shingles not laid properly, no starter shingles on the eves and not providing a proper slope leads to repairs down the line. There’s a lot more to roofing than laying down shingles. The first step is hiring licensed and insured roofers. These roofers passed certifications for licensing. If anything goes wrong, they’re insured. Check review sites like Yelp or Facebook recommendations to see what other customers think. If most of the reviews are negative, then move on to the next choice. Also, check to see if they are part of any professional organizations such as the Better Business Bureau or Chamber of Commerce. Don’t be afraid to ask for references and follow up with them before making a hiring decision. Once they finish the roof, you don’t want to call them a few weeks or even a few years later because of problems. The purpose of the shingles is to move water off the roof and into the gutters. The gutters take the water to the ground. Over time, the gutter fills with leaves, dirt, and branches. This causes water to not leave the roof effectively. If the gutter downspouts get clogged, then water pools on the roof. Shingles aren’t meant to be underwater for long periods. It breaks down the protections. Water seeps into the roof and plywood underneath the shingles. If it gets bad enough, it makes its ways to the roof supports and creates a leak in your home. This causes serious damage to your ceiling. It requires replacement of the shingles, plywood and possible rotted roof supports. The water soaking into the ceiling tiles leads to a ceiling collapse or massive leak. Your home goes through a lot over the years. Cold winter weather, thunderstorms and summer heat are hard on your roof. This causes the shingles to loosen or break. Do you look at your roof and see shingles flapping in the wind or broken? There is a possibility of water seeping into the plywood. If gone unchecked, it can cause serious damage and significant replacement costs. If caught early enough, you only need to replace the broken or loose shingles. Missing shingles are worse than broken or loose shingles because they cause a domino effect. Each shingle protects its neighbors through shingle overlap. When one or many shingles blow off after a bad storm, then their protection is gone. Besides allowing water to seep into the roof, it causes other shingles to loosen and break. It’s a chain reaction culminating in roof replacement. You can save yourself the cost by replacing the missing shingles as soon as possible. Look for nearby damage and replace those shingles as well. It’s better to be safe than sorry. When you’re replacing shingles for any reason, it’s best to replace them and not cover them with new shingles. It’s cost-effective at the time to cover them, but it leaves spaces for water to get into. Those shingles loosen and break easier because they don’t have a stable base to start with. If you’re using a roofing contractor make sure they remove the old shingles before replacing. Don’t let a cost-cutting measure now lead to a massive expense in the future. When you install flashing on porch roof or around chimneys, it helps keep water out of places shingles can’t go. Flashing is metal and when you take it off to replace nearby shingles it gets damaged. Don’t let roofers put the old flashing back. Flashing isn’t expensive, but it’s a common corner to cut. Reused flashing doesn’t provide the protection as new flashing. It’s easy to ignore a little drip when it rains or some water damage in the ceiling. It doesn’t rain that much. When it does, you can put a bucket under it. Right? Wrong. What you’re seeing is only one small part of the problem. The water starts on the roof where it seeps into the plywood and rots it. It can travel to the wood supports and to any area of your home. Seeping water in the roof on the other side of the house could cause the leak in the dining room. That small leak over time rots your roof and roof supports. It promotes mold growth. Don’t let that happen. No one wants to spend money if they don’t have to. A few broken shingles or a tiny leak may seem like a simple fix, but it isn’t. If you place the shingles incorrectly or put the nails in the wrong place, then you make the problem worse. Your roof is vital to the health of your home. Unless you have experience in roofing, hire a professional. Your quick DIY fix could cost you in the end. Shingling a roof is an expensive job that you don’t want to do unless you must. Keeping an eye on your roof and catching problems early saves you money. Avoid these common roof maintenance mistakes get your 20 years of hassle-free roofing. If you’re interested in learning more about roofing or roofing problems, please explore our site. Failing to pay attention to the age of the roof is a major problem when buying a home. Forbes lists roof problems as one of the top warning signs when buying a home. Even if the roof is under warranty, what does the roof warranty mean? What damages are covered and when are those damages covered? Continue reading this article to get your questions about roof warranties answered. Your Roof Warranty – How Does It Stack Up? When you experience roof damage, you don’t want to hope for the best. You want to know you are prepared with a good protection plan. When you understand your warranty properly, you know what you can expect the warranty to cover, what insurance will cover and what will come out of your pocket. When you buy your roof and have it installed, you will sign a good deal of paperwork. If you’re purchasing a warranty, some of the fine print is about what the warranty will and will not cover. Take the time to read through the fine print so you aren’t surprised later. Different types of warranties cover different things and circumstances which is why it is important that you understand the different warranty types. If you don’t understand a term or a clause, don’t be afraid to ask for clarification. It is better to understand your warranty before you sign on the dotted line because after that, it is too late to change your mind. A material-only warranty only covers a defect in the material or early deterioration in the material. The roof membrane is the only part that is covered. The warranty does not cover any metal edges, adhesive and such. If you use a material-only warranty, you can either ask that the membrane is repaired for free or that the cost of the repair is covered. Again, the membrane is the only thing covered in this type of warranty so expect to pay for the rest. If your roof messes up, when you have it fixed, a labor-only warranty will take care of the labor to fix it. This warranty will not cover any of the materials you need to have the roof fixed. While this warranty is the most expensive, it takes care of everything. You don’t have to worry about paying for the labor or the material when you have a full system warranty. As long as the flashings and other materials are manufacturer approved, they are paid for as well. Even with full system warranties, you should check the terms to see when the warranties cover roof problems. This type of warranty may not cover installation errors so you will need to directly contact the installation professionals regarding any issues. The two warranties people mix up the most are the labor and roof workmanship warranties. While they may sound interchangeable, these warranties are actually very different. Labor Warranty – These usually cover any repairs that are needed because of a defective roof. Roof Workmanship Warranty – These usually cover errors in actual installation. These are errors that would not be covered under the labor warranty. Understanding the difference between these two warranties will help you decide which warranty makes the most sense for you. You want to have peace of mind, but you also need to make sure it makes sense to your wallet. When you have a problem, you need to know what warranty pays for which problem. Here are some things you should know about getting the money you need when you have a roof problem. 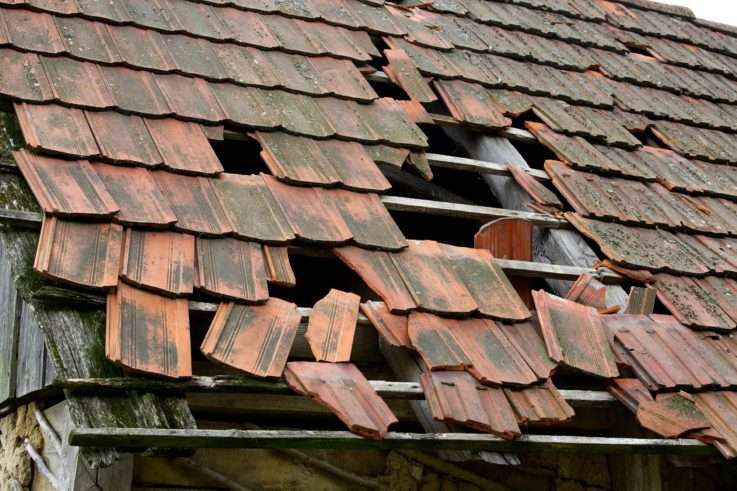 If your roof is damaged by high winds, this damage is outside of a normal roof warranty. You can check to see if you have upgraded wind gust coverage since some warranties do offer this coverage. Damage by roof leaks is most often covered with a full system warranty. If lightning struck your roof, hail hit it, misuse or a list of other things caused the problem then you may not be covered. Make sure to read your warranty’s terms about roof leak coverage. Most roof warranties do not include hail damage coverage as a standard. If you are worried about hail damage, make sure you ask about upgrade options to see what is available. Do you plan on walking on the roof? Frequent foot traffic can cause problems in the roof structure and even lead to punctures. If your roof experiences a puncture, you will need to have a specific puncture upgrade to receive any help with paying for this problem. Now you know that all warranties are not created equal. There is no one perfect warranty for everyone. You have to determine what is most important to you. Do you want to pay more for a warranty that is going to give you peace of mind in a high wind area? Maybe you think it is going to hail and decide to get the hail damage add-on for your warranty. Different manufacturers offer different warranties and add-ons. The same is true when it comes to installation professionals. Don’t assume everyone operates their business the same way or you might end up with a big surprise when you go to use your warranty. We understand that it can be confusing and frustrating trying to understand a roof warranty. While we make sure the work is done right the first time, we understand your need for having peace of mind. We make the roof installation process easy for you with competitive prices and an experienced team. We are also licensed, insured and bonded, so you never have to work. Learn more about us on our website today and let us help you get the roof you need. Got Gutter Problems? 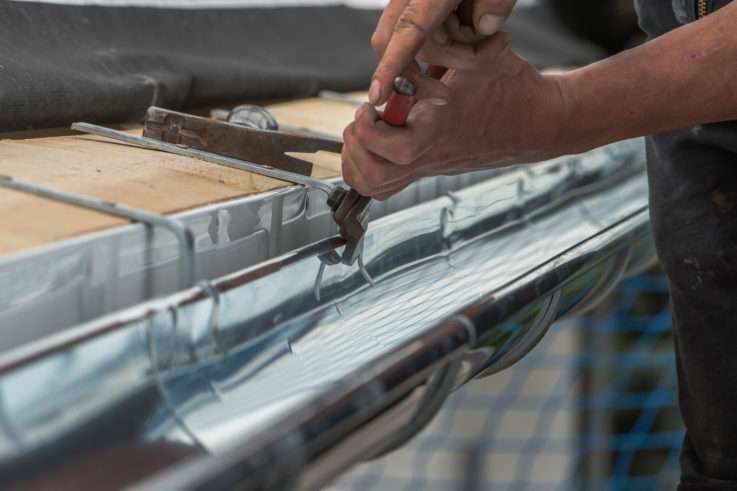 Here’s How to Know if You Need Gutter Repair! The average homeowner doesn’t spend a whole lot of time thinking about the condition of their gutters. They clean their gutters out once or twice every year, and as long as they look like they’re in decent shape when they’re doing it, they assume that everything is just fine with them. If you own a home, you should make it a point to pay better attention to your gutters. While cleaning out your gutters is obviously important, you should also look out for signs that will show it’s time for you to have gutter repair done. Let’s take a look at a few ways you’ll know you need to call a gutter contractor to schedule repairs to your home’s gutters. Have you noticed there seems to be water pooling around the foundation of your home almost every time it rains? This is a very bad sign and could indicate a huge problem with your home’s gutters. Your gutters are designed to take rainwater and move it away from your home so it’s not able to come into contact with your foundation. So if it’s finding a way back to your foundation, it means your home’s gutters aren’t doing their job. When water is allowed to pool around your foundation, it’ll often start to seep into it. This can lead to the formation of foundation cracks. It can also lead to water getting into your basement. You should get in touch with a gutter contractor right away if you ever see rainwater around your home’s foundation. They can figure out why your gutters aren’t working the way they’re supposed to. They can also make suggestions on ways you can drain rainwater from your gutters more effectively. When gutters are first installed, they’re sloped so rainwater will move through them in the direction of your downspouts. This prevents water from simply sitting in your gutters rather than moving away from your home. But over time, you may notice the slope gradually goes away. You might even find your gutters will start to slope in the wrong direction in some cases, which will send water away from your downspouts. This could cause water to build up in your gutters when it rains. And when this happens, it’ll often begin to spill over the sides of your gutters and fall down toward your foundation. A gutter contractor can check out the slope of your gutters and make sure they’re draining in the right direction. Gutter repair will get your gutters up and running like normal again. Do your gutters look like they’re about to fall off your home at any second? This is something you should absolutely not ignore. There are long gutter nails that are used to secure gutters to a home. They usually last for a long time. But if water builds up in your gutters, the added weight can start to pull them away from your home and render your gutter nails useless. If you ever suspect your gutters might be pulling away from your home for any reason, don’t put off having gutter repair done. The last thing you want to happen is for your gutters to come crashing down toward the ground and break. If this happens, you’ll be forced to invest in brand-new gutters for your home. Every so often, it’s a good idea for you to climb up into your attic to see what kind of condition your roof is in. Your roof could have a leak in it without you even noticing, which can cause water stains and even mold and mildew. You can also experience water stains and mold and mildew in your attic because of malfunctioning gutters. If your home’s gutters aren’t working properly, they might be allowing water to work its way into your attic space through your roof. Inspect the wood located under the eaves in your attic. If you see any water staining taking place, it’s time to call a roofing contractor or a gutter contractor right away. Has the paint on a portion of your home randomly started to peel off? If the paint is on the older side, that could be the reason for it peeling. But if you just had your home painted within the last few years, it could be an indication that water is falling from your gutters, running down the side of your home, and causing your paint to peel. This could be because your gutters aren’t sloped properly. It could also be because you have a hole in your gutters that’s allowing water to drip down your home. Either way, you should take a good, long look at why your paint is peeling. Your gutters could very well be to blame. You might be surprised by how many homeowners find gutter nails and other gutter hardware on their lawns and don’t do anything about it. Many of them aren’t sure of where the hardware came from, so they don’t devote much time or energy to it. If you ever find nails or other hardware strewn all over your lawn, take action. 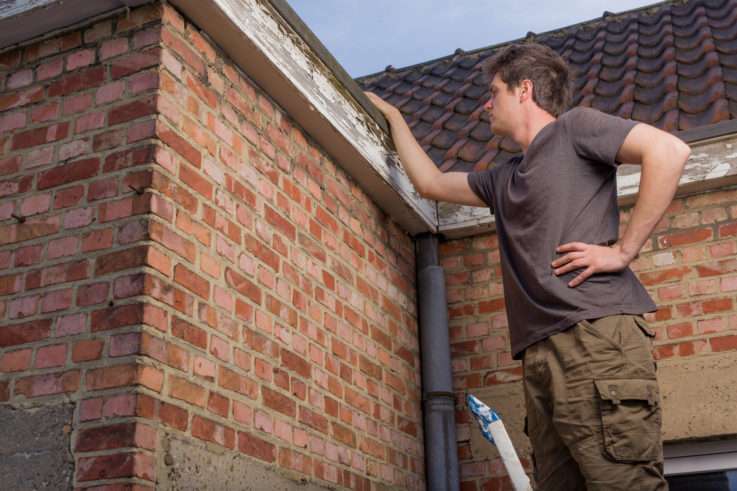 Get in touch with a gutter contractor to see if you have anything to be worried about. It’s always better to be safe than sorry when it comes to your home’s gutters. There are many different things that homeowners have to worry about with regards to their homes day in and day out. That’s why it’s easy to overlook the need for something like gutter repair. But your home’s gutters play a very important part of its overall well-being. So you shouldn’t put off gutter repair under any circumstances if you need to have it done. Contact us today to schedule an appointment with a gutter contractor. Generally, a homeowner will spend 1 percent of what their home is worth on maintenance each year. As most experienced homeowners will tell you, this number can fluctuate greatly from year to year. The key to avoiding serious repair problems is having the vital systems in your home inspected routinely. One of the most important parts of any home is the roof. As time goes by, this part of a home will begin to wear out and will have to be either repaired or replaced. The best way to find out about roofing problems before they cause significant damage is by paying for a professional roof inspection. Usually, homeowners who attempt to perform this type of inspection will have problems due to their lack of experience. The following are some of the things a professional will check out when inspecting your home’s roof. The first thing most professionals will do when hired to inspect a home’s roof is to get a look at it from the ground. By looking at the roof from the ground, a professional can tell if there are any issues with sagging present. If a roof is sagging, it will usually be caused by issues with water pooling on the surface. The heavier this puddle of water gets, the higher the risk becomes of the roof totally collapsing. With the help of a roofing contractor, you will be able to figure out what is causing your roof to sag. Once the professionals have pinpointed the cause of this issue, they can address it quickly. A roofing professional will also thoroughly inspect a home’s roof for signs of mold or algae development. Generally, these green substances will start to form when there is an issue with moisture. Leaks and pooling around the gutters are some of the most common causes of mold and algae development. Waiting to fix these leaks can cause you and your family a lot of health problems. If the mold on the outside of the home gets inside, it can be extremely dangerous. Instead of putting the health of your family in jeopardy, you need to let professionals fix this issue immediately. One of the most potentially damaging forces to a home’s roof is the sun. The sun can create a lot of heat in a home’s attic. This heat will cause the shingles on a roof to buckle or curl over time. If a roofing contractor sees this problem during their inspection, they will probably advise you to replace the damaged shingles. Leaving these shingles in place will eventually lead to leaks forming, which can cause extensive water damage. While replacing the shingles can be expensive, it is worth the investment. The last thing you want is for the inside of your home to be filled with water due to your hesitation to fix this problem. Are Shingles Missing From the Roof? The roof of your home is exposed to direct sunlight for hours on end on a daily basis. This will lead to the shingles on the roof becoming brittle due to being dried out. All it will take is for a brisk wind to tear these shingles off of your roof. If you have a number of missing shingles on your home, your main goal should be getting them replaced. The large gaps created by missing shingles will only get worse over time. Allowing a roofing contractor to handle this work can help you avoid further issues with your shingles. A roofing contractor will also pay close attention to the condition of the granules on your shingles during this inspection. Over time, the granules on your shingles will start to fade away. The more granule loss your roof has, the higher the need will become for more shingles. If the shingles have no granules on them, they will be unable to protect your home from water. A new roof is expensive, but often times necessary to keep a home damage free. Are you trying to save money on a new roof? If so, be sure to schedule some onsite estimates with local roofing companies. With the information from these estimates, you should have no problem getting the best price. If your home has a chimney or HVAC vents coming out of the roof, these areas will be sealed off with metal flashing. This metal material helps to close any gaps created by holes in the roof. Just like any other part of a home’s roof, the flashing will eventually wear out. If the flashing is bent up or rusted, a roofing professional will have to replace it immediately. Not only can damaged flashing cause leaks to occur, it can also damage the vents and fireplaces it is installed around. This is why replacing this worn out material is so important. Having your attic inspected is also a great way to discover roofing repair problems early on. If this area is filled with water, a roofing contractor will need to figure out what is causing this issue. By performing a few diagnostic procedures, a roofing contractor can find the hole in a roof and fix it in no time. With their help, you can save yourself a lot of time and money. Getting a comprehensive roof inspection is only possible when hiring the right professionals. Researching the various roofing repair companies in an area can help you make this important decision. Are you in need of a roof inspection or repairs? If so, contact us today to get more information about the roofing services we offer. 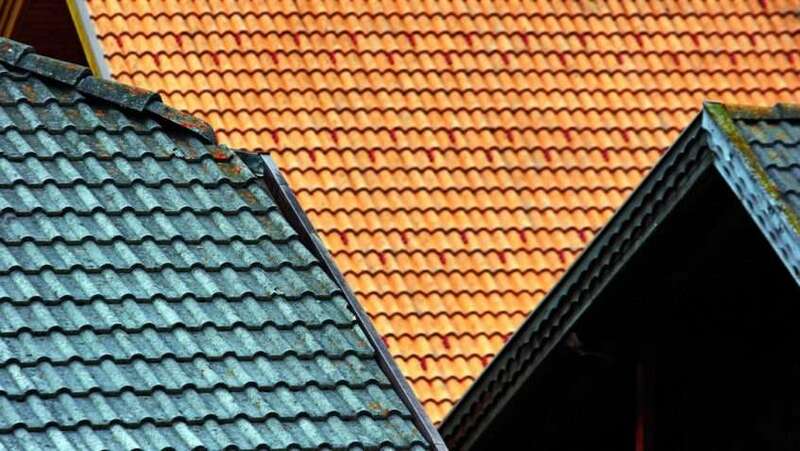 Roof Repair or Roof Replacement: Which One Do You Need? The average cost of replacing an asphalt roof is over $20,000. At that cost, you likely want to hold off on a roof replacement for as long as possible. But will a roof repair be enough to save your roof for a few more years? While some roof damage is only a matter of replacing shingles, other damage calls for a roof replacement. Knowing the difference can save you time and money both now and in the long run. Before you decide how you’re going to deal with your roof problems, read this and find out if you can afford to put off your replacement any longer. So how do you know when you need a roof repair and when you need a roof replacement? We’ve detailed all of the issues you may experience below. We’ll tell you whether these issues mean you need to repair or replace your roof. Curling, missing, or cracked shingles don’t necessarily warrant a replacement. But you might consider it depending on the extent of the damage. When the edges of your shingles curl upward that’s known as cupping. When the edges of the shingles are flat but the middle pops up, that’s called clawing. Curling shingles require a roof repair. You can simply replace the cupping or clawing shingles. If the curling is extensive, you may only have a year left of your roof. But if there are only a few curling shingles, you can probably get another 5 years out of your roof before replacing it. If your roof is missing some shingles, that’s a matter of repair. However, keep in mind that replacing missing shingles with new ones may leave you with a checkboard roof that’s not aesthetically pleasing. It’s nearly impossible to get new shingles that match your old. If you live in an area that experiences high winds, you may notice that some of your shingles are cracked. Shingles that are cracked as a result of weathering or other one-off instances are okay to replace. But when you notice that the cracking is occurring randomly throughout the roof, and doesn’t appear to be the result of weather damage, that’s a sign you need to replace your roof. You might be able to stretch it out for another 3-5 years, but you’ll notice more leaks and damage if you wait that long. The good news is, moss or algae on your roof doesn’t mean you have to replace it. Some people choose to replace a roof that’s overrun with moss or algae simply for the aesthetic appeal. But this isn’t necessary. You can wash away moss or algae with a mix of bleach and water. You may also consider purchasing and installing zinc strips that help fight the growth of these unattractive roof-dwellers. It’s important that you try to remove the moss or algae properly. Otherwise, you can cause damage. Don’t use a power washer or anything that scrapes away the moss and algae. This will cause the shingles to chip and lead to further damage. If you decide that you prefer to replace the roof, look for algae and moss-resistant shingles to prevent the problem from reoccurring. When shingles are new, loose, extra granules will come off. If your shingles are less than a year old and you find granules in the gutter, they’re nothing to worry about. Granules in the gutter become a problem when your roof is between 10 and 15 years old. When granules start to flake off, your roof is about halfway through its lifespan. Meaning, you can get another 10 or 15 years out of it before you need to replace it. Keep an eye on the shingles once this starts to happen. The granules keep sunlight off the asphalt of the shingles and when they start to go, you may experience other roof problems. If sunlight is leaking into your home from your roof, you can be sure that other things are leaking in as well. That includes rain, cold, snow, as well as insects and other critters. Check for water stains around the area where light is coming. If they change shape or size after a rainfall, your roof is leaking. To determine whether it needs to be repaired or replaced, you may want to consult a professional. While smaller leaks can be patched and don’t require a replacement, larger leaks can cause structural damage. Depending on the size of the leak and where it’s leaking onto, a roof replacement can save you more damage in the long run. A sagging roof is generally an indication of structural problems that are not only costly but also dangerous. Sagging could be a problem with the decking or with the foundation. It almost always gets worse if left unfixed. If your roof is sagging, you probably need a roof repair. When you see your roof begin to sag, it’s time to call a professional. Asphalt shingles are the most common roofing material. These roofs typically last between 20 and 30 years, with an additional 5 to 10 years if you’ve maintained and cared for your roof. So, when your roof is at or above the 25-year mark, and it starts to show signs of damage, it might be time for a repair. Do You Need a Roof Replacement or Reroofing? Choosing between roof repair or roof replacement is a big decision. Considering a new roof can cost upwards of $4,900, you probably want to hold off on a roof replacement for as long as possible. And while issues such as missing shingles and granules in the gutter only require repairs, issues such as sagging call for a replacement. If you’re still unsure whether you’re in need of a repair or replacement, contact us to schedule your free estimate. A leaky roof is a major safety hazard for both your house and your family. When it comes to your roof, you probably think the shingles, metal sheeting, tiles are what keep your home safe from water damage. While this is true, your roofing materials are not the only things that stand between your house and the elements. Roof flashing is one of the most important components of a fully functioning roof. But if you’re like most homeowners, you don’t know much about it. But the more you know, the better you’ll be able to keep your roof leak-free. In this guide, we’ll go over everything you need to know about roof flashing and how to tell it’s time for repairs. If you’ve ever studied your roof, you’ve probably seen thin metal strips around the chimney and along the roofline. These strips of metal are your roof’s flashing. The flashing itself works with your roofing materials to create a more weather-proof and waterproof layer of protection for your house. Most often, roof flashing is made from aluminum and steel. It’s lightweight, durable, and can stand up to most storms with ease. But for homeowners on a tight budget, plastic and PVC flashing can be an option. These types are less durable and tend to break down in a few years. How Does It Protect Your Roof? Every roof, no matter what type, has seams where materials join together. These seams are a weak point for the roof itself. Unless they’re covered, water, moisture, and even insects can get inside the roofing materials. Over time, this increases your risk of water damage, mold growth, and even puts your house at risk for insect infestations. 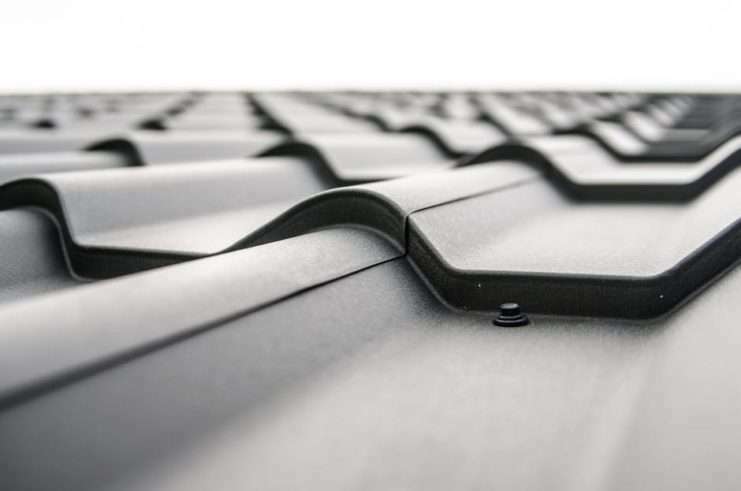 Flashing covers those seams and protects the interior structure of the roof from the elements. Where Do Roofers Install It? Roofers commonly install flashing where different slopes of the roof meet. These are known as valleys. The valleys can trap and collect water, snow, and moisture easily. With flashing in place, the water won’t seep into the roof and can instead flow straight to the gutters. But flashing is also ideal for protecting other parts of your roof. Chimneys are a major leak risk for your home. To build a chimney, contractors have to leave a hole in the roofing. Once built, the chimney won’t sit completely flush with the roofing materials. This increases the risk of leaks and water damage both to the roof and the walls of your home. Flashing is installed around the base of the chimney to seal the gap between the chimney wall and your roof. This creates a weather-tight seal and keeps your home safe and dry. Skylights add great natural light to any room. But when you think about it, you realize they’re just a hole in the roof. This means they’re a major source of water leaks even if your roof is in good condition. Flashing covers the gaps between the frame of the skylight and the roof itself. Sealant alone is not enough to stand up to the elements and needs the protective barrier flashing provides to keep your home safe. Ventilation is a key part in helping keep humidity and moisture levels within the normal range in your attic. To help your roof disperse heat and maintain fresh air circulation throughout the attic, roofers install vents along the roofline. These vents are framed holes in the roofing materials themselves. After installing the vent, roofers place flashing along the base of the vent. This keeps moisture out while allowing your attic to breathe. Most flashing is incredibly durable and can withstand the elements for years at a time. But like all roofing materials, it will eventually need repairs or a full replacement. Here are some signs to watch for. Aluminum and steel flashing will eventually rust. Over time, the rust eats through the metal, leaving holes and gaps in the flashing itself. Your roofer will be able to determine if the corrosion is on the surface or if its time to replace the flashing. Flashing doesn’t sit completely flat against the roof. This means high winds can slip between the flashing and the roofing materials. In some cases, the wind can lift the flashing off, bending it in place. This creates a gap where water and moisture slip into your roofing materials. Every few months and after severe weather, inspect the roof from the ground. If you notice bent flashing, call your roofer immediately. Active leaks inside your home are a sure sign of roof damage. For most homeowners, telling the difference between a leak caused by damaged flashing and one due to damaged roof shingles can be tough. If you notice a leak, schedule a roof repair appointment immediately. Remember, the average roof only lasts about 20 to 25 years. It’s normal for the materials to need a full replacement and the sooner you take care of it, the better off your home will be. If damaged flashing is not repaired or replaced, you risk further water damage and leaks in your home. The best thing you can do is stay on top of roof maintenance. Schedule a roof inspection at least once a year. During the inspection, your roofer will look for signs of damage both to the materials and the flashing. After a severe storm or anytime you notice damage, schedule repairs immediately. The sooner the damage is fixed, the safer your home will be. Your roof flashing is your roof’s first line of defense against water damage and leaks. And the longer damage sits, the worse your roof will get. Don’t wait. Contact us today to schedule a free roof repair estimate and inspection. Finding the best roofing contracts can feel like a burden. With so many options and so much money involved, making the right decision becomes crucial. While climbing a mountain and having a revealing time with a deity would provide excellent guidance, you’ll have to settle for this list. Roofing choices don’ just affect the value of the home on resale. Strict energy guidelines exist to help save you money year-round on heating and cooling. You can also expect a roof to last for decades to half a century, depending on materials. That one time cost should also save you in operating costs over time. Adhere to this humble list of musts and you’ll find the right roofing contractor for your project. This list isn’t just important for finding all the relevant information to making an informed decision. It is also carefully crafted to give you a step-by-step guide in order of importance. This will allow you to narrow down your choices and find what you need. Referrals give you a couple of bonuses in your search for a roofer. First, you can rely on the word of other customers to give you a fair assessment of how the work went and what the overall experience was like. Second, you know that the company works within the community and has local ties. Working local is always important when dealing with roofing contractors. Finally, referrals also provide initial information on how well a roofer knows codes and regulations within the area. Not all jobs are created equally. While some fields have oversight organizations, unions, and the like, others do not. For roofers, you want to check that they have insurance for their employees. Licenses are also required in most states for roofing and general contract work. Specific branded products require different credentials. A contractor needs proof they are equipped to install or advertise that they use such products. Ask what products a potential contractor uses and check that they have the necessary credentials. Your next stop is over at the Better Business Bureau to confirm that the business has a history. A BBB score will help you to confirm the credential information you gathered. This will also give you an insight into how long the company has operated and if they have had major incidents. If you don’t find a score for the contractor it throws up red flags that they lack experience or credentials. Beware of door to door solicitation of roofing services as well. Now that you have the background of local roofers looking for work, it is time to get to know their work. Reading reviews provides a window into the experience of others. A company should have a mix of reviews available. A company with nothing but good reviews and no arguments or complaints may be censoring comments. Even the best roofers will run into snags and problems. Reviews should reflect how these issues were handled and not pretend delays never happen. Now that you have winnowed down your list of potential contractors, you want to get an estimate for the work. Many contractors offer free estimate services. The estimate provides vital information not only into your needs but the priorities of the contractor. Pay attention to what an estimate emphasizes over what it leaves out. You will want to know that the work will stand the test of time. A product that is supposed to last twenty plus years can be hard to gauge. Signs of a bad roofing job can surface years down the road. Homeowners insurance will only cover a new roof or major repairs for so long. To ensure that your roof lasts into the second and third decades (if not beyond) your chosen contractor needs to offer a warranty. This will cover the materials and the work done. That a contractor offers a warranty ensures that they stand by their work and expect to make reparations in case of a problem. Carrying insurance for their employees protects you from liability. Additionally, a contractor needs to address safety for their crew. They will have safety training of their own for employees and also provide gear. A roofing contractor that doesn’t provide proper equipment to employees risks their employees and your roof. Safe workers are happy workers. Signs of safety ensure you have craftsmen on your project. Asking about safety is one of the most important things to ask when getting roofing quotes. While you can’t expect every roofer to offer every product line in every possible style, they should have a selection. You should, within reason, get what you want for your roof. A contractor that pushes you into a certain material may be trying to offload old product. That said, respect that if you want a specific material it may take time to order and receive. Before signing a roofing contract, you want to compare quotes. A minimum of two and a recommended three give you the best idea of associated costs. Quote comparisons show the competitive nature of the businesses and where each expects to do their best work. While some will have cheaper materials, others will have cheaper labor. Remember that scheduling is also important. A company that quotes higher but can do the work faster adds value to your home. Don’t automatically go for the cheapest bid or the fastest done by date. You want to consider all of your preliminary information in your final decision. A well-crafted roof will add longevity and value to your home. Some materials retain or reflect heat better than others. Consider the impact on your heating and energy bills over the roof’s lifecycle. Consider the median value of wages in your area. A quote with low labor costs undercuts workers for company profit. The best roofing contractors will save you money in dealing with material suppliers and solid safety records. Don’t stop now. The best roofing contractors won’t reach out to you. Contact us to schedule an estimate today. We’ll get you covered. Did you know that the costs of home remodeling continue to rise each year? The leading reason for replacing parts of your house is when they start to break down and lose structural integrity. Others remodel their homes to update how the place looks. For example, you replace your roof when you notice the signs of failure and danger. This applies to cheap windows as well. Some windows can cost about $1,000 per piece. You may want a cheap window replacement instead. However, how do you get affordable windows without sacrificing quality? Most builders will always look for the commodity windows with the lowest cost. After all, it affects their bottom line in a direct manner. If you want to save a lot of money, you need to do the same. Always remember that windows with the “architectural grade” will always get expensive. In comparison, replacement windows and other home remodeling materials will stay cheap. It only applies when they’re at builder-grade or contractor-grade. What this means is that the window meets the bare minimum requirements. Always look out for the big-name companies that sell builder-grade windows. Most of them have the quality to serve your home for decades. If you doubt builder-grade windows, remember that contractors don’t like callbacks due to defects. What this means is they buy cheap windows that have the quality to last extreme weather conditions. The caveat is that it can get difficult to get them since they’re known by different names. You can ask builder center clerks for products used by contractors. If you’re lucky enough, you might find windows explicitly marked for contractor use. No matter what the case may be, do your research and know the best builder window brands in the market. Most window companies offer extra features that buff up your window. They do this out of their desire to widen their profit margin and increase your enjoyment. But always keep in mind that they aren’t required in normal situations. When picking your replacement windows, you need to check if these features matter to you. Ask yourself, “Are the between-glass shades worth paying extra?” If not, avoid it and only spend your money when it helps improve your overall home experience. One feature you need to invest in is energy efficiency. Look for the ENERGY STAR label when you buy them to ensure efficiency. If you’re in a colder place, check the U-factor since it offers better thermal resistance to your windows. It’s a known fact that window companies and authorized dealers are open for price negotiation. The industry surrounding replacement windows is one of the few sectors of home remodeling where people tolerate and expect price negotiation. The main driving force is the fact that window companies have a steep competition for your attention. Most of your local window companies have an efficient and honest business practice. They make sure that it permeates from the moment you contact them up until they receive payments. They’re durable businesses that don’t mind compromising for a deal. The reason they can do this is they have the means to buy the windows at wholesale price. They can sell packages that cover both the window and the installation process. This all works to your benefit, so don’t hesitate and haggle for a better deal. Wood windows are great and can offer a more premium look for your home. But have you considered using fiberglass or solid vinyl frames? After all, these two materials are the cheapest among all the choices offered by the market. You might not even tell the difference between wood and fiberglass in the long run. So, it’s important to start asking whether the prestige of solid wood matters to you. If showing your windows off to your visitors isn’t high on your priority, always go for cheaper, sturdier window frame materials. These types of dealers limit the competition, hindering you from getting better prices. There are a lot of other window sellers out there that distribute different brands of windows. If you choose a brand-centric dealer, you’re stuck to the deals that brand offers, narrowing down your horizon. If you want to get a more competitive price and feature choices, go for authorized dealers that don’t focus on one brand. It can help you get common-style windows, making it much cheaper for you. Always choose styles like sliders or fixed windows since they look classic but inexpensive. This is an effective practice where you get three price estimates from different dealers. Once you get it, one estimate will emerge as the lowest. It’s simple and it can save you a lot of money upfront. You can call three window replacement companies for a visit. Don’t hesitate and tell them you’re doing a bid between the three. That will make them do the math and give you the best price possible. Once you get all three bids, you’ll always have a low, medium, and high price estimate. If these companies have the same level of reputation, always pick the cheapest. Always remember that most window companies always have room to wiggle their prices. It benefits you since you can get them to give you a much better price deal. It’s even better when you try pitting two or more companies against each other in a price bid. Don’t be shy when you need cheap windows. This will only get you stuck in less-than-ideal deals and spend more for things you don’t want or need. Follow these tips and you’ll find the best window worth the money you spend on. Do you need a replacement window? Contact us today and we’ll help you out. Most homeowners’ insurance policies cover damage from roof leaks – EXCEPT when the damaged is caused by lack of maintenance to the roof. In that case, the total cost of repairs is the homeowner’s responsibility. Could it be time to repair or replace your home’s roof? There are several easy-to-spot signs you need a new roof. Read on to learn more about the seven most common signs that it’s time to call a roofer. Other than time, three main factors can shorten the lifespan of your roof. The more you can address these factor, the longer your roof will last. Rain is a destructive force. The more precipitation your area receives, the faster a roof will break down. Regardless of the material your roof is made of, moisture causes shakes and shingles to retain water. They become waterlogged. It also causes metal roofs to rust. No one can control the weather. Though, you can keep your gutters clean. Do so keeps water from pooling on your roof. Rain has less opportunity to steep into your shingles. Do you live in northern states where the winters bring snow and ice? Once the snow melts, check your roof and gutters. Winter may have left its mark, which calls for repairs before Spring arrives. You can also schedule a roof inspection every year or two. An experienced roofer can spot trouble areas and recommend ways to limit the opportunity for water damage. Sunlight is no friend to your roof, either. Asphalt shingles and wooden shakes are especially susceptible. Sunlight dries out roofing materials. The more sunlight, the more damage. As your roof dries out, it begins to lose structural integrity. You can coat some types of roofing to protect it from harsh sunlight. The coating is reflective and keeps the roof from absorbing heat. Repairing any minor damage helps in this area as well. Again, having a roofer check your roof annually helps you keep minor issues from becoming more significant problems. If your roof is damaged or worn out, you’ll find that your energy bills are rising. Roofs are a form of insulation. They prevent the cold and heat from coming into your home. When the roof goes bad, cold and heat can make their way in with little to no resistance. Your heat and air conditioning system then must work harder to maintain a comfortable temperature. The rest of this article contains seven telltale signs you have a bad roof. In some cases, a partial replacement of shingles is enough. For some others, a full roof replacement is your best option. A standard roof lasts between 20 and 25 years. If your roof has already been replaced once, you should know whether it was replaced entirely. Often, homeowners replace only the shingles. The roof must also be adequately ventilated. If a new roof was installed over another layer (sometimes even several layers), you might need to start over. If the existing roof is over 20 years old, you most likely need a new roof now. Buckling and curling shingles are signs that you need a new roof. 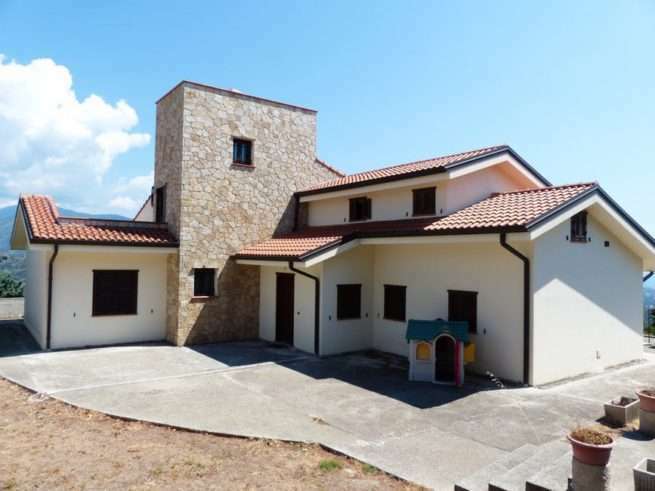 Look at the slopes of your home that receive the most direct sunlight. If you see any shingles curling and losing granules, the shingles are most likely past their life expectancy. They may also appear frayed at the edges. Curled or buckled shingles may be a sign of exposure to sunlight and moister. No replacing curled shingles means your home isn’t insulated properly. Moisture, cold, and heat are seeping through your roof and into your home. Your roof could also be defective, especially if it’s not that old. A professional roofing contractor would be able to see if you’re eligible for any reimbursement. It almost goes without saying that you need a new roof if the shingles are deteriorated or missing in the roof valleys. Valleys have a particular function. Rain and snow flow through the valleys and into the gutters. If the valley is damaged, you are at high risk for roof leaks. Cracked or missing shingles are obvious signs that your roof is failing. 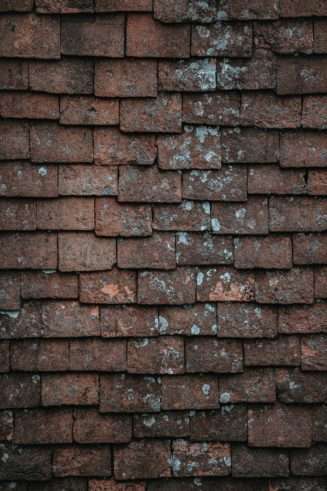 A cracked shingle is one that is severely deteriorated. You can check to see if the shingle tabs are still intact. If the shingles are indeed cracked, they are past the expiration date by a few years at least. Cracked shingles on your roof allow moisture to seep into the roof’s wooden structure. It also allows cold and heat to seep into your attic, as well. Shingles that are altogether missing from your roof are an open door for heat, moisture, and cold are to make their way into your home. You may not need to replace the entire roof. Depending on the number of missing shingles, you may only need to replace those few. In that case, a partial replacement gets the job down. If you are missing shingles over a large area, chances are the rest of them are going bad, as well. A full roof replacement is in order. Around the chimney is another area to watch. If your flashing contains tar or roof cement, it needs to be replaced after a time. You’ll want to replace it with a water-tight fitting designed to last for an extended time. Replacing flashing on the roof with metal flashing is in order here. Metal flashing is both watertight and long-lasting. Loose granules from the shingles is a sign of deterioration. Check your gutters. If you see shingle granules, your shingles have reached the end of their lifecycle. Also, if some parts of the roof are darker than others, the cause is lost granules. The inconsistent color on your roof is a strong indication your roof needs replacing. When installed correctly, new roofs prevent light from coming through to the attic. If you see daylight coming from the roof into your attic, you have a problem. If your home is new, there may be some kind of defect. If your home is older, light in the attic is an indication that something else is wrong. If you are able to climb onto the roof, chances are you will feel a bounce when walking on your roof. That spongy feel means the decking beneath is weakened from moisture. There may even be moisture in the insulation. Check your home’s attic to see if there is any light coming through the roof boards. Also, check for moisture in the insulation. These are also signs of a roof leak. If daylight can get it, so can rainwater. Light in the attic means your roof is at least in need of repair. Most of the time, it means your roof is in need of replacement. If you have surveyed your roof and found one or more signs you need a new roof, it’s time to call a professional. The time to repair or replace a bad roof is always right now before you start having roof leaks. If you are in the Indianapolis area, please contact us with questions. We can inspect your roof and recommend the best solution for your home. When people talk about a “roof over your head” the funny thing is their not necessarily talking about an actual roof. It’s usually a euphemism for shelter or a home. But a roof is arguably the most important part of your shelter. It’s what literally keeps you safe and protected, so why is it that when building a new home we don’t pay enough attention to them? We’re certainly busy calculating square footage, picking out paint colors, rugs, etc., but what about choosing roof styles? Today, we’ll take a look at five common roof styles and show you the pros and cons of each to help you make a better decision. When you were in elementary school did you draw pictures of homes? If so, it was probably a box with a door, windows, and a triangle on top. It’s simply a roof with one pitch in the center and two slopes down either side of the house. It’s probably one of the most common residential roof styles around – at least in the United States – but it’s not perfect. We’ll go over some gable roof advantages and disadvantages. The gable roof is one of the most common roof designs around, so one benefit is that it’s an affordable option. If your budget isn’t bursting at the seams, this might be a good option to consider. That doesn’t mean it’s poor quality, though. The slopes of a gable mean that it sheds water, snow, sleet, and other precipitation very well. If you live in a particularly rainy area, you’ll be happy to know that you’ll have no problem with drainage. This tall roof also allows for more attic space or higher, vaulted ceilings indoors. This makes it a good option for people who live in areas where it’s difficult or impossible to build a basement. You’ll want that extra attic storage. The biggest downside to a gable roof is that it is susceptible to high winds and hurricane conditions. Strong winds can create uplift and potentially separate the roof from the walls. Therefore, when working with a builder, you want to have one who is able to foresee roof damage and danger and help you make the right decision. Can you guess what shape this roof is? We sure hope so. That being said, a flat roof is a flat surface that does happen to have a slight pitch to it. It’s usually just enough to allow run-off and drainage of water, snow, sleet, and other elements. You usually see this style on business and industrial buildings, but it definitely shows up in residential designs from time to time. It can certainly create a unique and alluring look. What’s the biggest advantage of flat top designs? Extra living space. Don’t underestimate the power and beauty of a rooftop garden, patio, or suite. Plus, this space can be used for heating and cooling units, clearing up your lawn and the sides of your house from clutter. Not to mention, these options are usually quite cheap due to their simple design. If you’re an environmentally conscious homeowner, a flat roof is perfect for laying solar panels. Make your home more energy efficient and even qualify for tax credits! With flat roofs, you need to be careful about water damage and leakage. The slight pitch allows for some run-off and drainage, but flat roofs aren’t perfect in this regard. 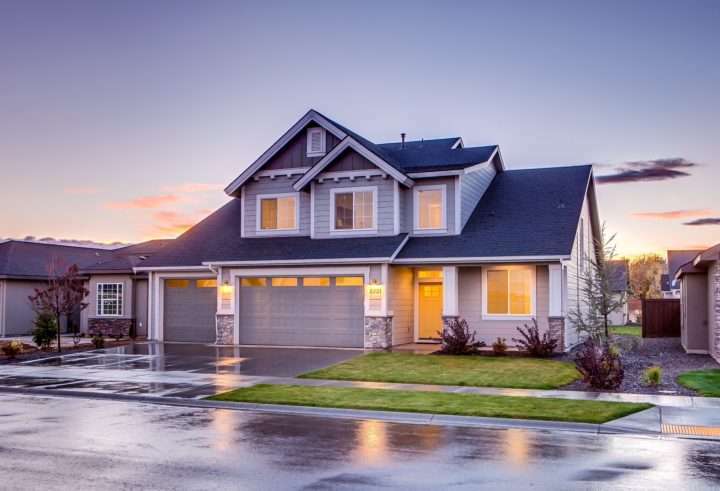 No, a hip roof isn’t some young, cool, has-it-all-together roof design, it’s a roof that has slopes on all four sides at the same length and a ridge on top. These are often a top competitor to the gable roof for people building a new home or updating their roof. Just like that style, though, the hip comes with its own set of advantages and disadvantages. Most notably, the hip roof is more stable and secure than the gable roof. This is an excellent option for people in high wind areas, especially areas that see frequent hurricane activity every year. This design also allows for some extra living space in the form of a dormer or a crow’s nest. Hip roofs are more complex than other roofs on this list, so they may be a tad more expensive to build. They require more effort on the designer and builders part, too. A skillion roof is a single slope roof that is attached to two sides of the home, one taller than the other. Think of it like a slanted flat roof design. You’ll often see this design on sheds, but it is used in residential homes as well, especially in modern styles. The skillion roof is easy to assemble and doesn’t use as much material as other roof designs. This makes it relatively easy to build and therefore rather affordable. Between the skillion and the flat roof, it seems like modern home designs are both affordable and aesthetically interesting. Skillion roofs can have issues with condensation build up due to lack of ventilation. A sawtooth roof consists of two or more single slanted pitches that alternate in direction creating a unique and varied look. Similar to flat roofs, this is another design that was primarily used in industrial buildings but is used for residential purposes now. Where you would normally have a roof with your attic, a sawtooth roof allows for higher windows, allowing more natural and beautiful sunlight. The slanted roofs also allow for high, vaulted ceilings. This combined with the vertical windows you can now use make for a very alluring aesthetic that will make your house seem large. A sawtooth roof requires a lot of materials to build. It’s also a much more complex design and is, therefore, a more expensive option. It may be beautiful to some people, but it might be a little too extravagant or “out of the norm” for others. When you’re building a house, there are so many things to have fun with. There are so many exciting options to consider, but don’t skimp on the roof. Choosing from the right roof styles is an important step of the process. And if you’re repairing or updating your home, then it’s a great opportunity to have some fun and give yourself a change. If you need help deciding on a new roof design or need some roof maintenance or repair, contact us right away! Common mistakes homeowners make in selecting a new roof. Hosts JoAnne Liebeler, from “Home Timeshare why a GAF Master Elite contractor is a property owner’s best and safest choice. Danger signals of a poorly installed roofing system don’t have to appear only on the roof or ceiling. For example, poor attic ventilation can result in excessive moisture which leads to blistering and peeling of exterior paint. A faulty roof structure poses a threat to both the home and its occupants. Water damage, mold, and rot are just a few of the risks associated with a failing roof. In this section we are going to identify a variety of different problems associated with roof damage and defects. Leaking is obviously one of the most common signs of a failing roof system, You often see these signs in an attic after a heavy rain. The leaking may be caused by inadequate underlayment or deteriorated flashing. Another leak indicator is the appearance of stains on interior ceilings and walls. These leaks are often caused by ice damming, which forces water under the shingles at the eaves. Danger signals of a poorly installed roofing system don’t have to appear only on the roof or ceiling. For example, poor attic ventilation can result in excessive moisture which leads to blistering and peeling of exterior paint. Another danger signal associated with poor attic ventilation may be decay of roof shingles, sheathing, or siding due to excess moisture under the roof deck. Discoloration can also indicate a loss of granules due to the age of the shingles, which in turn can result in accelerated aging and ultimate failure. Another danger signal is missing, cracked or curling shingles. Although asphalt shingles give many years of service, they do eventually wear out. Those are many of the danger signals that indicate poor roof system performance. If you see any of these – resolve them quickly. Otherwise the problem may get worse – and the cost of repair will increase. It is definitely pay a little now or pay a lot more later.